We aim to be a praying community. Even if you can’t make it each time, it would be great to pray together. There are numerous times to pray for specific ministries and gospel opportunities. We meet in the downstairs lounge. Come and join us in the downstairs lounge to pray for specific mission work on Sundays before the morning church service. Matching up with the KYB dates on Tuesdays, we have organized a time to come together and pray. 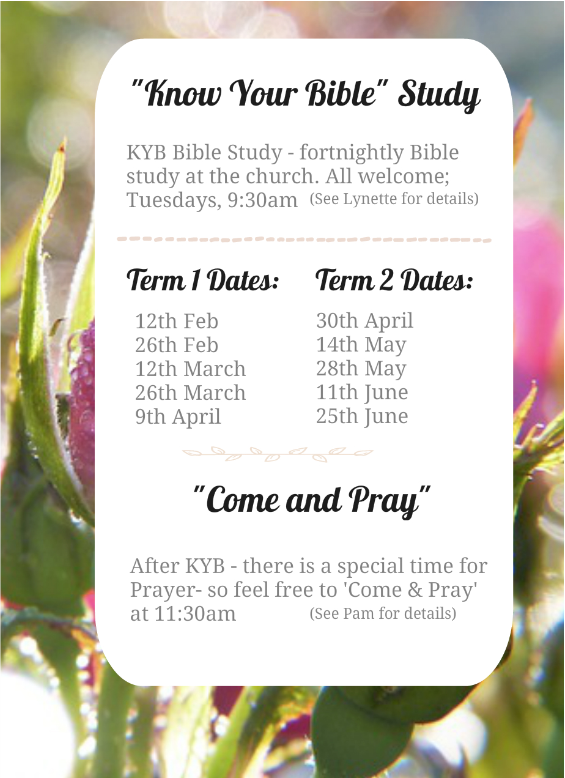 The prayer times are on Tuesdays, either before KYB at 11:30 am after “Know Your Bible” Bible Study. Pray for growth in grace. Pray for the preaching of the Word. Pray for God to be glorified through the salvation of the lost. Pray in light of gospel realities and gospel priorities.